*Easy handling and moving for outdoor or indoor use. *TEFC powerful motor enable safety use outdoor. 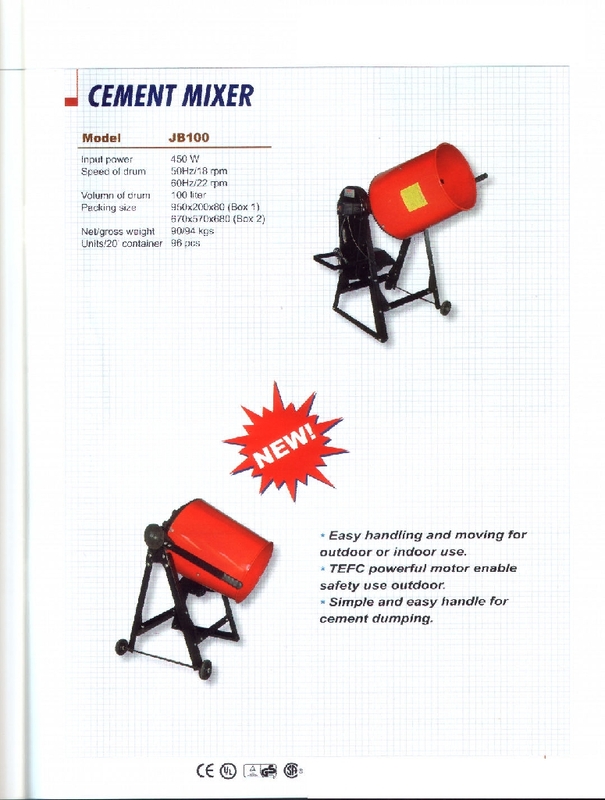 *Simple and esay handle for cement dumping.